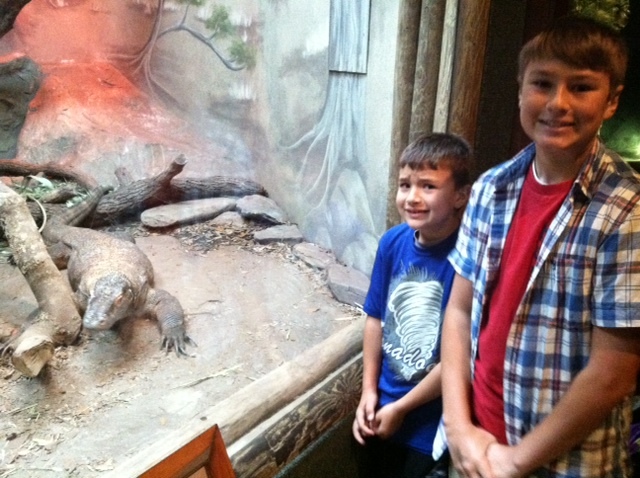 I couldn’t find any family dinner photos, but here’s one of Andrew and Jack and a monitor lizard. That’s close enough. That might be me in the box. This entry was posted in Uncategorized and tagged dinner table conversations, family dinner, family time at the dinner table, lick your own elbow, monitor lizards, Starbucks Frappuccino, Virginia Schools. Bookmark the permalink. 6 Responses to Is That What They Do Up Here In Virginia Schools? LOL never thought about that before. The things they are teaching these days…yikes! Funny! It’s one of those great and useless trivia items. Wow, I love your humor! 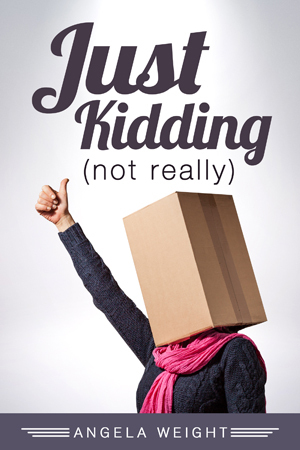 I just tried to buy your book, but couldn’t sign in to Amazon. This happened once before with another book. I’ve got Windows 8.1 and it crashes and fills up with bugs despite running Kaspersky and SpyHunter. Never fear, I’ll fix this mess and buy your book. It sounds hilarious and insightful. Awww, thank you so much, Talmage! You just made my day. Can’t wait to check out your blog as well. I finally got logged onto Amazon, bought your book and read the chapter about Lava Java and the embalming cook-off world of sensitive art. What a hoot! Having been a pathologist, I’ve met a few morticians. They all seemed more normal than the average person I’ve met in a coffee shop. They were among the few people in my career who treated a pathologist with respect. Even though they had no idea what the a pathologist does for a living. Anyway, that was then. Now I’m going to be a writer. Keep up your incredible writing. Wish I could do humor half a well as you.